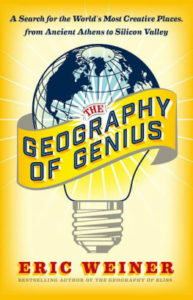 The Geography of Genius is a highly readable and often entertaining inquiry into the mystery of places of genius. Author Eric Weiner visits seven cities, ancient and modern, that have produced a disproportionate share of the world’s creative geniuses. As he moves through time and geography, from Ancient Athens to Hangzhou, China of the Middle Ages, to Renaissance Florence, to Edinburgh during the Scottish Enlightenment, to Calcutta of the British Raj, to Vienna in the early 1800s and then again a century later, and finally to Silicon Valley in modern times, Weiner tries to pinpoint the factors behind these golden ages. 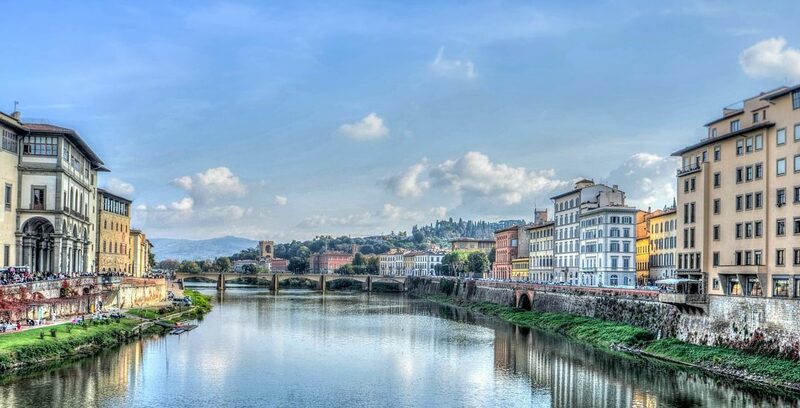 What was it about Florence that inspired contemporaries Leonardo da Vinci, Michelangelo and Botticelli, amongst many others, to create what is still considered as some of the world’s finest works of art? How could a small, sun-bleached city on the coast of Greece produce Plato, Aristotle and Socrates within three generations? Why do we owe so much of the modern world’s technological innovation to Silicon Valley? In each of the golden ages Weiner explores, the period of creative genius was short: around 50 years; they were also intense and incredibly prolific. The more questions he asks and the deeper he delves into the secrets behind these places, the more elusive the easy answer becomes. The support of a generous benefactor was crucial in Florence, while a connection to the past was at play in Hangzhou. Weiner even credits physical exercise, and walking in particular, as a contributing factor to the golden age of Athens. He identifies a very long list of social and environmental conditions, such as conflict, constraints, structure and discipline, risk, education, social or political instability, humour, mentorship and tolerance, as factors that make creative genius possible. None of these factors operates alone and no place of genius contains them all. There are however three important constants that emerge from Weiner’s book: creative genius appears almost exclusively in cities; it invariably requires community, the more diverse, the better; and it is nearly impossible to predict. Creativity happens. It can’t be planned, although we can create the right environment in which is might flourish. In July, I will be leading a workshop on community and creative thinking at the annual regional conference of the International Baccalaureate in Toronto. The Geography of Genius gives me food for thought because many of the conditions for creative genius are sitting right in our classrooms. As our urban populations become increasingly diverse and the wealth of experience and backgrounds more varied, our schools should be fertile ground for creative thinking.